Background information: After the wave of repression against Belarusian anarchists had started in September 2010, Ihar had to hide from the Belarusian special forces abroad. On November 28, 2010 he was kidnapped by plaincloth cops in Moscow. On November 30, 2010 he was found in KGB prison in Minsk. Thus, breaking all the norms of criminal extradition Ihar was taken to Belarus from Russia less than in 2 days. Ihar admitted only participation in the antimilitarist march and throwing a smoke grenade on the territory of the General Staff, but doesn’t consider it a criminal act. The sum of damages inflicted to property is estimated at 100 mln BYR (20 000 $). Pardoned by the president on August 22, 2015. 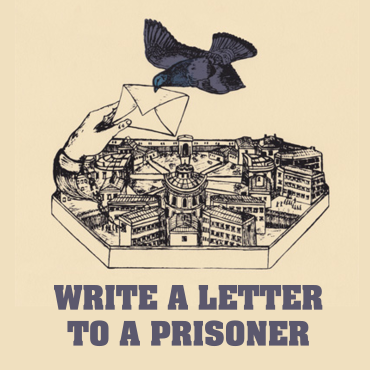 While in jail, Ihar was able to write a diary and pass to the outside. The book “On the Way to Magadan” reflects what is happening in modern Belarus. It is about the choice that one has to make between life and death, freedom and imprisonment, conscience and betrayal. Whatever happened to Ihar, it happened in real life in the 21st century, in a “civilized” European country, before and after the 2010 presidential election. The book “On the Way to Magadan” is Belarus without censorship. The book was translated into many languages, some are available for download. Antifascist from Belarus needs your support!